Our goal is public transport that delivers zero CO2 emissions, zero toxic pollution and A-class energy efficiency. 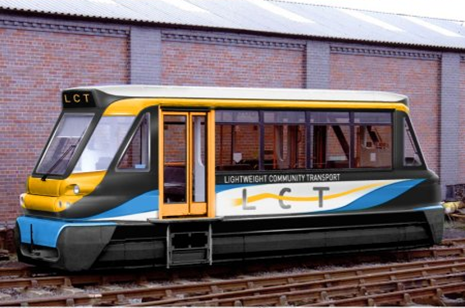 That's the idea behind Lightweight Community Transport Ltd. We offer services to communities that are seeking to promote and develop ultra light rail - that is, light rail with the simplest, most lightweight technology. Our newsletter for November 2017 has a roundup of ultra light rail schemes including Trampower in Preston and new thinking for Ludgershall. Download it here. Ultra light rail does not require overhead lines; uses less energy per passenger than any other powered transport mode; is cheap to commission; and delivers a popular, user friendly service. The class 139 operated by London Midland at Stourbridge are a great example of what can be achieved: since their introduction, costs are down and passenger numbers are up. It's the most reliable and frequent service on the rail network. Lightweight Community Transport Limited, 10 East Reach, TA1 3EW Registered with the FCA no. 30451. Simple theme. Powered by Blogger.